If you are on the lookout for a nice set-top box with an emphasis on gaming (and you are willing to deal with Android TV being a bit immature), the NVIDIA Shield is definitely a product you need to look at. This product won't come without its downsides, but it's definitely your best bet. A plethora of set-top boxes has been introduced to the market, offering so many options we don’t even know how to handle them. Of course, here at Android Authority we have a very special spot in our hearts for Android TV devices, and today we are taking a look at what could be the best one. We know it’s hard to make a decision on the right smart TV device to get. Are you into gaming? If so, you may be looking for a set-top box which provides a good media and content experience, yet has the power to handle your gaming needs. NVIDIA has an answer to your prayers, and it comes in the amazing form of the NVIDIA Shield Android TV. Let’s take a look at it and see if it’s worth your cash! 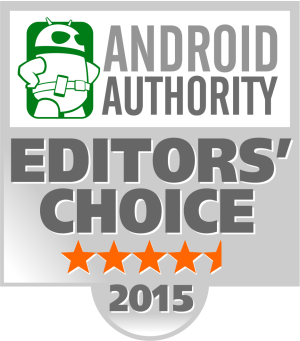 Plus, we’ve given it our Editor’s Choice Award for its stellar performance and robust feature set. The NVIDIA Shield is arguably the most powerful set-top box in the market, as it was made with gaming in mind. This is why it only makes sense that the unit looks and feels a bit like a miniaturized gaming console. I mean, this won’t compare to the size you find in giants like the Xbox One and the PlayStation 4. 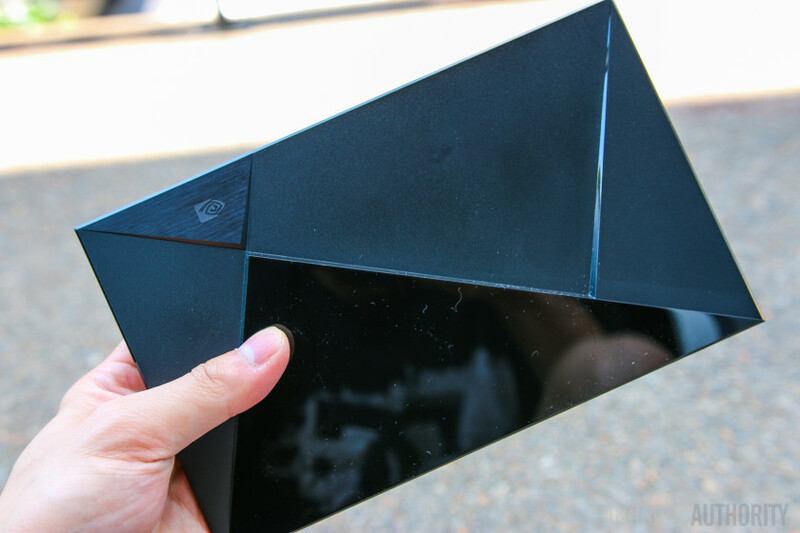 The NVIDIA Shield Android TV can easily blend into the rest of your home entertainment system. The device’s aesthetics are not too flashy, but it definitely has a good look and serves its purpose. We are sure it will be easy to find a good spot for it. It only takes a second of looking around the unit to see this is a very well-endowed Android TV device. The console is adorned by a fun green light bar that turns on when the device is powered on. Flip the device around and you can find a bevy of ports that will leave you desiring nothing. There are 2 USB 3.0 ports, a microUSB port, an ethernet LAN port, HDMI and microSD card slot. The bundle includes a single controller, which can be used for navigating, controlling media and, of course, gaming. NVIDIA is one of the gaming kings in the industry, so you can be sure they didn’t skimp out on this gaming pad’s quality. It offers comfort for long hours of gaming and a matte finish that allows for a great grip. The gaming pad comes with your standard D-pad and four main buttons (X, Y, A and B). Below these are the two thumb sticks, which happen to be made of rubber and are very comfortable to operate. The center of the controller displays back, home, play/pause and an NVIDIA button. There’s a couple shoulder buttons on the top, as well as a microUSB port for charging and a 3.5 mm headset jack for private listening. Oh, and we can’t forget that handy volume button under the thumb sticks. Not convinced with the controller? Even if you love it, using a gaming accessory for controlling a media device can get pretty uncomfortable. It’s a bit of an overkill, and that is why NVIDIA offers an optional remote with very simple controls, a mic for voice actions and even a 3.5 mm headset jack for listening to your content. It’s small and discrete, but it does cost extra (more on that to come). Just in case you don’t like your set-top boxes laying flat, you can also purchase a stand that props the device up vertically. It blends in amazingly well with the design and gives the NVIDIA Shield Android TV’s look another angle (literally). Making a gaming set-top box without pristine performance would be unforgivable. This thing needs to perform to the tee, and we are glad to report we found no problems with it. The NVIDIA Shield Android TV can handle any game title you throw at it. Even the most graphically intensive games run without a single stutter, lag or delay. We tested it with some of the most graphically intensive games around, including Asphalt 8, Skyforce, Modern Combat 5 and Dead Trigger 2. We never found a single issue. Just in case you were wondering, we never saw any problems with the way the device handles the software and UI, either. The device sure isn’t at the level of the PS4 or Xbox One in terms of graphics, but I would say it’s on par with the last-generation consoles. It’s definitely one of the top performers in the Android TV ecosystem. By the way, this little guy does support 4K resolutions, which also puts it above the competition. Much of this amazing performance can be credited to the powerful specs hidden inside this beast. It’s an NVIDIA product, so it obviously features an NVIDIA X1 processor that makes this little guy scream. Other specs include 3 GB of RAM, 7.1/5.1 surround sound support, 802.11ac 2×2 MIMO 2.4 GHz /5 GHz Wi-Fi and Bluetooth 4.1/BLE. You get a couple options in terms of storage, and the difference between them is immense. The base version comes with 16 GB of internal storage, while the “Pro” iteration comes with 500 GB of memory. It’s amazingly simple to upgrade via microSD, though, which is definitely recommended if you go for the 16 GB model. The NVIDIA Shield is essentially an Android TV on steroids, so the software is nearly identical to what you find in the competition. The build is based on Android 5.1 and you get access to all the applications you know and love. This includes Google services like the Google Play Store, Play Music, YouTube and more. You can also download third-party apps like Hulu and Netflix. Android TV is sleek and simple to use, with large tiles and good imagery. The fact that it uses voice search also makes finding your content a breeze. Is the platform perfect? Definitely not. The following downsides may not be NVIDIA’s fault, but they are factors that will definitely affect people’s perception of the Shield Android TV. Thankfully NVIDIA has blessed the tiny console with some of its own gaming capabilities, which take the Shield Android TV to a whole other level. NVIDIA has baked Grid streaming straight into the device, allowing it to stream PC games from your personal computer. The only issue is not everyone will be able to enjoy NVIDIA Grid. It has some pretty demanding requirements, as it streams PC games straight from your computer. This means the user needs to have a pretty powerful computer in order to use this feature, and it also needs to have a fairly recent NVIDIA GPU. Let’s move on to brighter news, though. I did love that the NVIDIA Shield Android TV comes with Google Cast support (which really comes with every Android TV). This makes it super easy to stream content from your smartphone or tablet. Overall, the software experience while using this device is pretty good. The few issues we found are not really NVIDIA’s fault, and we know Android TV will continue to evolve and improve. It’s just a matter of being patient and waiting for those software updates. Here comes the moment of truth! 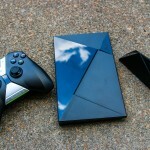 Should you buy the NVIDIA Shield Android TV or go for a more affordable alternative? Let’s take a look at the price before we dig into that topic. Customers will need to fork out $199.99 for the 16 GB version. On the other hand you can multiply your internal storage by over 30 times and go for the 500 GB “Pro” edition, which only costs $100 more ($299,99), but it will save you from the hassle of having to worry about running out of storage or getting microSD cards. The accessories seem to be equally pricey. An extra controller costs $59.99, the metal stand is $29.99 and the remote costs $49.99. Is this thing cheap? No way. In fact, it’s the most expensive Android TV set-top box around. The difference here is that the NVIDIA Shield Android TV is for the hard-core gamers out there. This is not for someone who simply wants to watch some flicks and stream music. The gaming market is big, demanding and expensive. The price is justifiable. If you are on the lookout for a nice set-top box with an emphasis on gaming (and you are willing to deal with Android TV being a bit immature), the NVIDIA Shield is definitely going to be your best bet. My only gripe is that most people won’t be able to take advantage of all the awesome features it offers. Are you buying this bad boy? If so, you can always get them from the official NVIDIA website, or you can head over to Amazon and enjoy your awesome Prime shipping.